In exchange for a perfect ribbon of smooth tarmac it’s probable that residents living alongside the Poggio, the final climb of the Milan San Remo route, can leave with the inconvenience of the race one day in early spring each year. The road is deserving of it’s pristine status as it by the time reaches it’s summit with 6 kilometres to go the race is either won or about to be. This is, depending on your point of view, the beauty or the problem with Milan San Remo. The longest classic at almost 300km in length and with a largely benign profile it’s the ‘monument’ that is seen as offering the best chance of a sprint finish. The Poggio and it’s predecessor climb on the route, the Cipressa have been included over the years to try and keep interest in a race that can see the winning rider take 7 hours to complete the distance. The idea is that the climbs will force a selection or provide a breakaway with the kind of gap they would need to stay away to the line. It’s true that each ascent has thinned out the peloton over the last couple of years, but even as the race has entered the final kilometre it’s been anyone’s race. 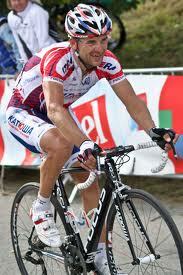 Last year through up a surprise winner in MTN Quebeka’s Gerald Ciolek. The race had been part neutralised after heavy snow had fallen on the route and the remainder of the race was run in the kind of conditions you might expect in Belgium, rather than hugging the Mediterranean. Ciolek was unfancied ahead of the race in MTN Quebeka’s first season racing in Europe. This might have been the deciding factor that allowed him to burst to the head of the race at the crucial point, producing a sprint that beat a high profile podium comprising Fabian Cancellara and Peter Sagan. Milan San Remo receives live television coverage as the first of the five ‘monument’ one-day classics. It’s hard to imagine a broadcaster taking any more than the final couple of hours though as the first 200km are pretty dull viewing. Not quite as inclement as last year, the early part of this years race provided interest in deciding who has the worst helmet design in the peloton if nothing else. Trying to predict a winner from the riders showing themselves, even with 60km to go, is speculation at best. The fancied riders this year were the pure sprinters like Cavendish, Degenkolb and Greipel. Sagan, of course, was in the mix too, but a later change to the route had much of the pre-race discussion centred on the likelihood of a bunch sprint finish. The first firm potential race winning attack came from Vincenzo Nibali who attacked ahead of the Poggio and overhauled the remains of the break ahead of the final climb. Can you imagine a GC style rider from Sky putting in attack like that? The Nibabli cameo lasted 15km and by the time the Poggio was reached the Sicilian was out the back suffering from a lack of legs or lack of support for the final push. The group that was left was larger than last year and included Ciolek, hinting that he might not be a one hit wonder as far as the race was concerned. Sagan and Cancellara were in the mix too but so were the some of the sprinters, Cavendish included. There was much post race discussion on social media about eventual winner Alexander Kristoff who had odds that would have reflected Ciolek last year at 100-1. What sparked the discussion was that Kristoff had been tipped figuratively if not literally by some commentators as someone who “..loves long races”. Led out for much of the finale by Luca Paolini, in truth Kristoff didn’t look to be in much difficulty of losing in the sprint to the line. The race was for the podium places, although judging from Cancellara’s reaction on the line he must have thought he was closing. The top 10 had some interest lines though. Ben Swift’s third place finish is the Sky riders biggest result for some time. Like a number of his teammates, VCSE hasn’t really been convinced of Swift’s chances against the world’s best sprinters, but yesterday’s result will probably be heralded as something of a breakthrough. It was the first time Swift has run MSR and it’s a race he has suggested he would do well in. Whether that’s based on more than just a feeling he has isn’t clear, but Swift was on the front of the peloton riding in support of Edvald Boasson Hagen late in the race and it was his supposed team leader that faded and not Swift. Following Ian Stannard’s win at OHN this podium will add to the theory that Sky are beginning to show more form in the classics, but at this stage the VCSE view remains that they’re just having a better year. Stannard was praised for his 6th place in last years MSR, so Swift can expect to get some favourable press and more importantly for the rider more chances to ride this year. Sagan scraped into the top 10 and didn’t look like the rider described in pre-race discussions. Is he feeling the pressure to deliver this year? Cancellara picked up another podium and possibly one that was looking less likely. With Tom Boonen absent from MSR for personal reasons it’s not possible to draw to many conclusions about the match up to follow at E3 this Friday and looking further ahead to the Ronde and Paris Roubaix. Whether Boonen is able to put personal tragedy aside (will he want to?) may determine the direction of the remaining spring races. Dan Martin will defend his title but all eyes will be on Chris Froome in his first race back since missing Tirreno Adriatico with a back injury. The line up is pretty starry actually with Joaquim Rodriuez, Nairo Quintana, Alberto Contador and Chris Horner all riding. There will be lots of interestin sub plots including the Columbian match up between Quintana, Rigoberto Uran and Carlos Betancur. Obviously, the race is a warm up for all involved, but with Betancur and Contador coming off strong wins in Paris Nice and Tirreno Adriatico respectively the prospects for some punches to be traded on the mountain stages on Wednesday and Thursday look good. Froome will be supported by Sky’s normal roster of super domestiques with David Lopez and Mikel Nieve already lookin strong this year. Froome will also have Richie Porte, his closest ally from last years success at the Tour. Might Sky throw us all a curve ball this year and back Porte for GC? Porte hasn’t looked that strong yet this year and the Giro is nearer on the horizon. However, Froome will want to show that his injury is just a bump on the road if he’s to maintain the psychological advantage he enjoyed over his rivals last year. Whatever happens, it’s looking like a good race to watch. It’s just a shame that Martin will probably be outgunned in his title defence. It’s hard to see him being allowed to escape and win the queen stage like he did last year and from there the overall.